It's Friday and that means it's time to talk horror film festivals. 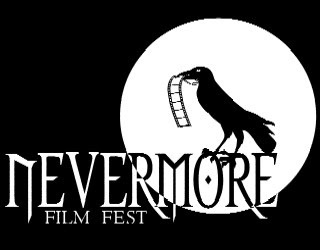 Today's festival is coming up really quick, the 9th annual Nevermore Film Festival takes place February 22 - 24 in the historic Carolina Theater in Durham, North Carolina. They've got a whole new website and it looks great, check it out here. According to festival director, Jim Carl, this was the hardest year ever for their programming committee to select the movies because there were simply too many good movies in submission. They received 130 submissions this year and that’s great news for the fans, as it looks like every terrifying, sensational, astounding, stupefying aspect of the horror genre will be represented in this 9th edition of Nevermore. Even Bigfoot is making his festival debut. Nevermore is a non-competition festival, whose emphasis continues to be the quality of the film selections rather than a showcase for vendors and panelists. Because of its year-round association with a variety of film distributors, Nevermore does showcase and solicit new films from distributors such as Lionsgate, Miramax, Sony, Magnolia, Universal, 20th Century Fox, etc. However, these solicitations are in addition to juried and invited independent and underground features and shorts which have yet to secure a theatrical distributor. New Line Cinema is now, officially... dead. Film Fest Friday... a day or two late.